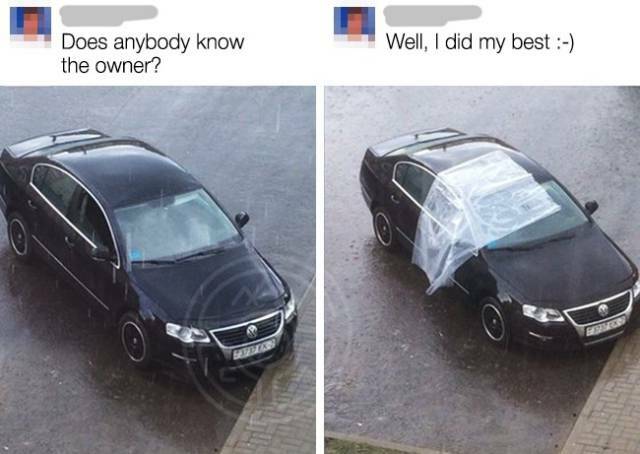 This guy covered someone’s car with cellophane so as not to let rain seep into an open window. 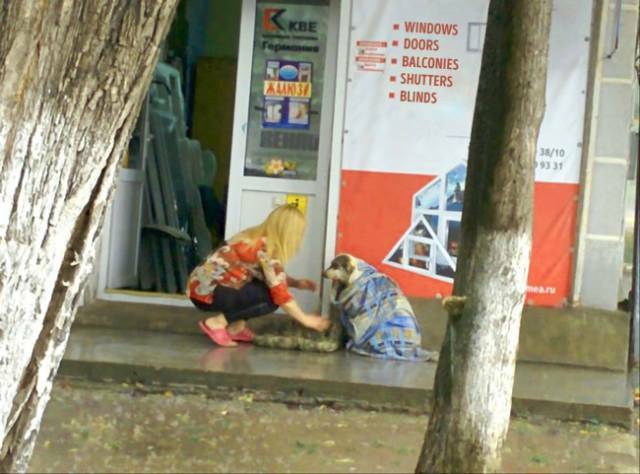 It was raining, and this woman covered a dog with a blanket and then let him in. 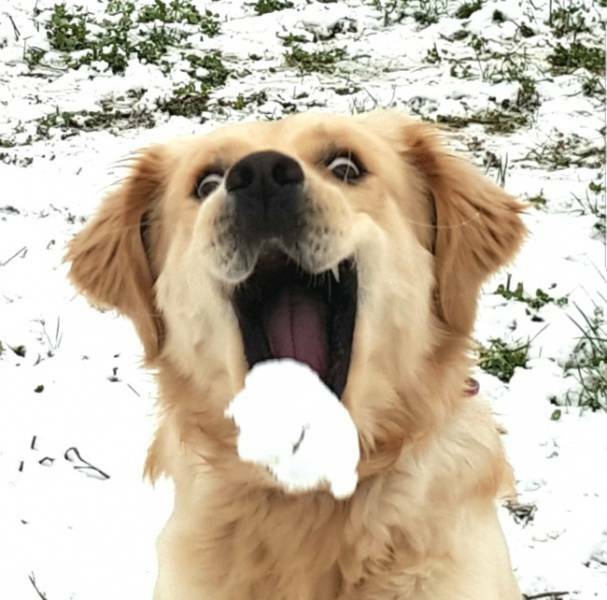 This is the first snowball in this dog’s life. 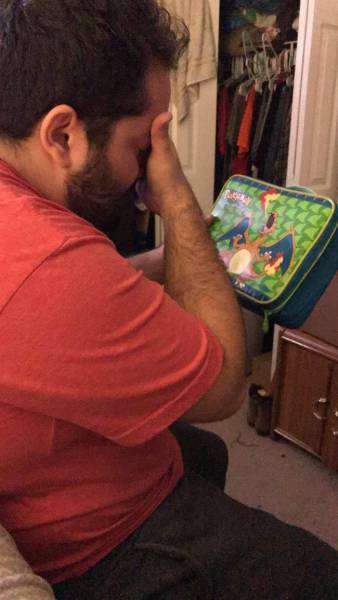 He doesn’t know yet how it works, but he’s happy. 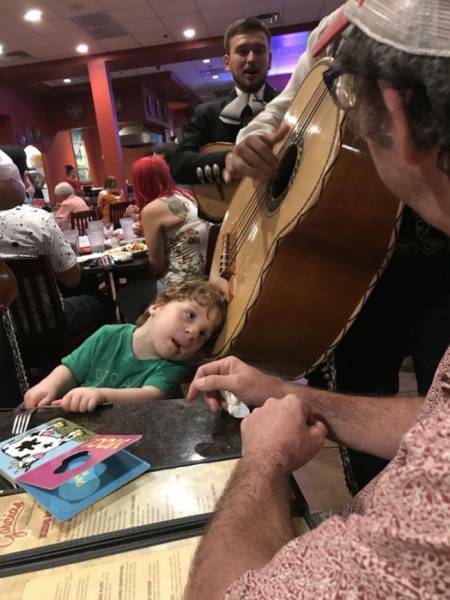 A musician let this hard-of-hearing boy put his head on the guitarrón so he could hear it. 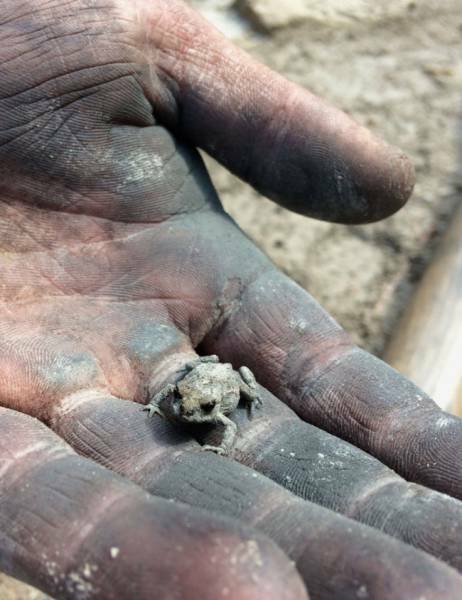 This little frog survived a fire. 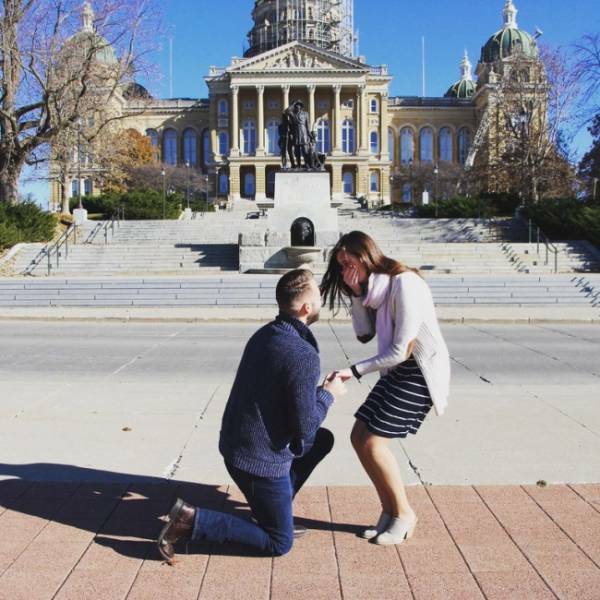 He proposed to his girlfriend and realized there was a heart in their shadows. 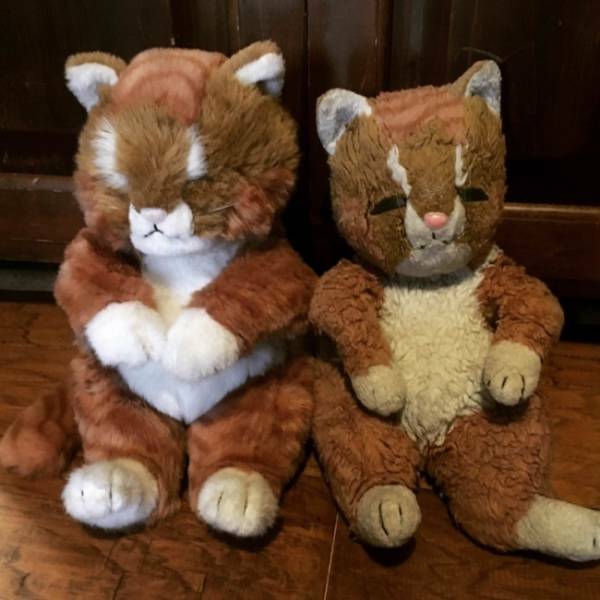 It was a sign. 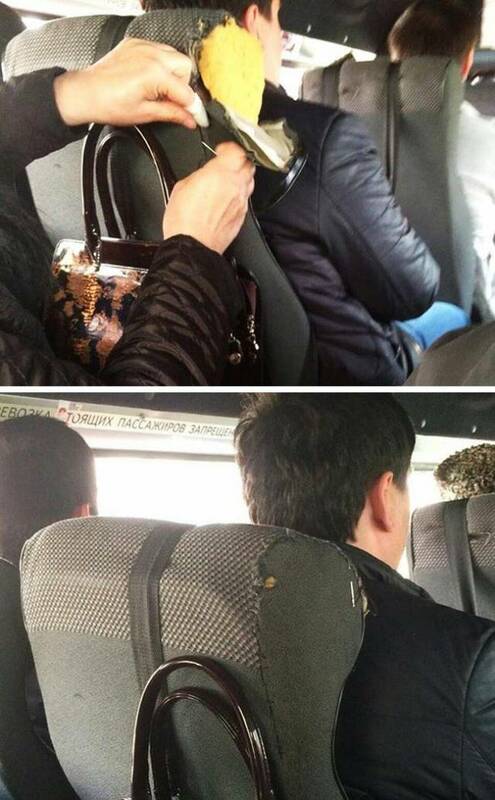 This woman just stitched up a seat on a bus. 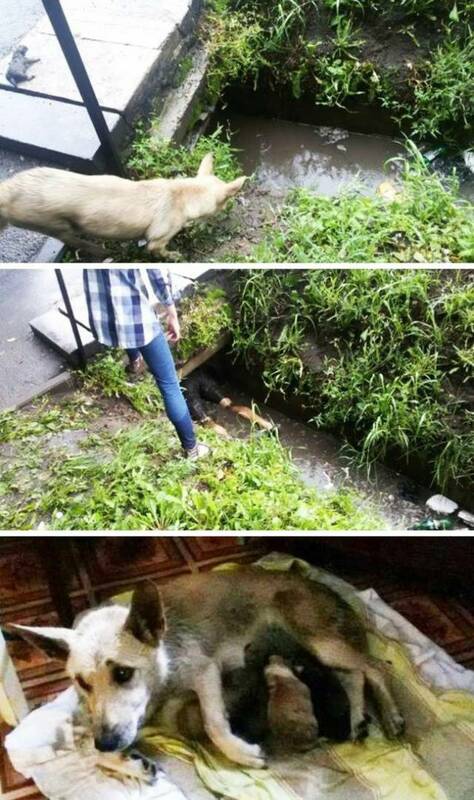 A guy crawled into a dirty ditch to rescue puppies. 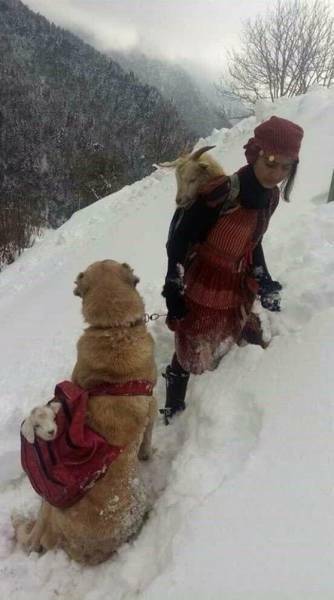 This girl is carrying a goat on her back that just gave birth. 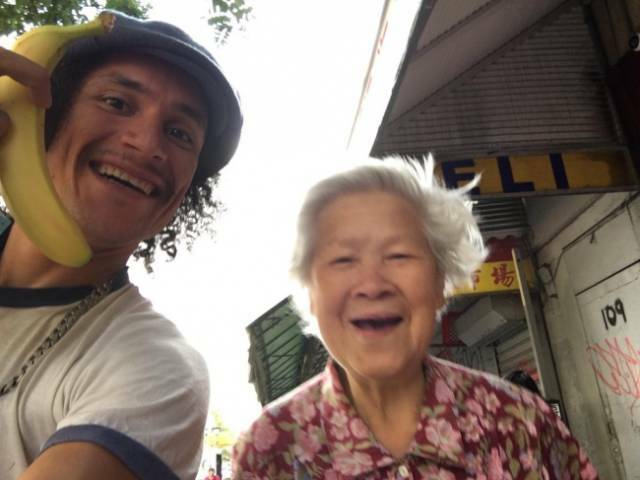 Her dog is carrying the goat’s baby. 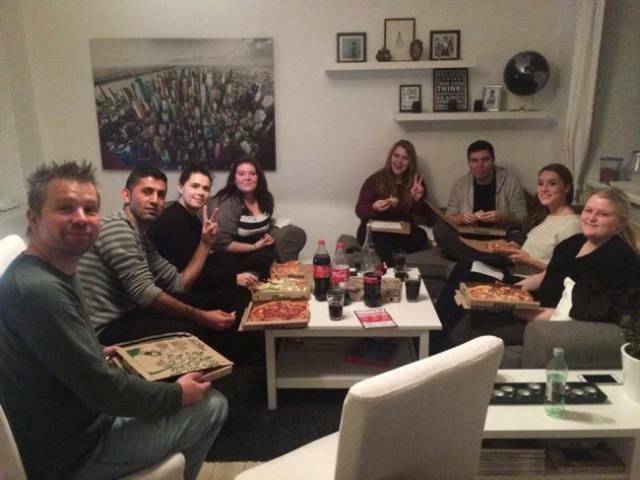 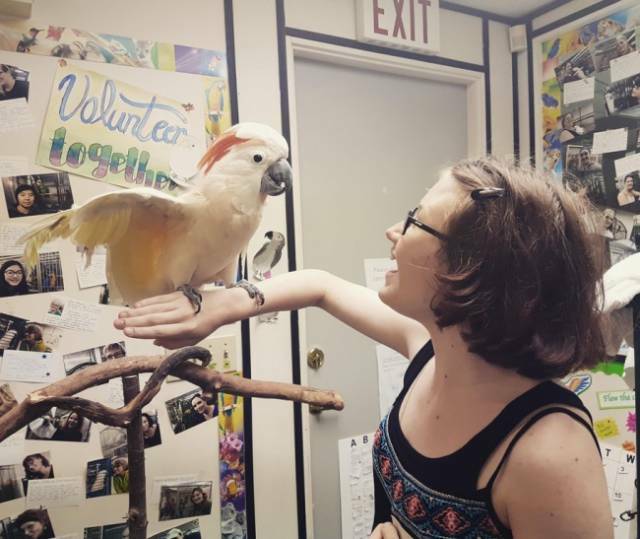 This guy arranges parties for lonely strangers at his house. 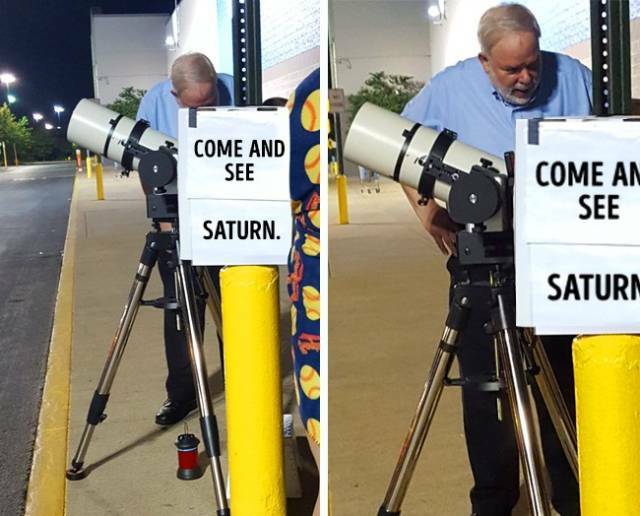 This man invites everyone to look at Saturn. 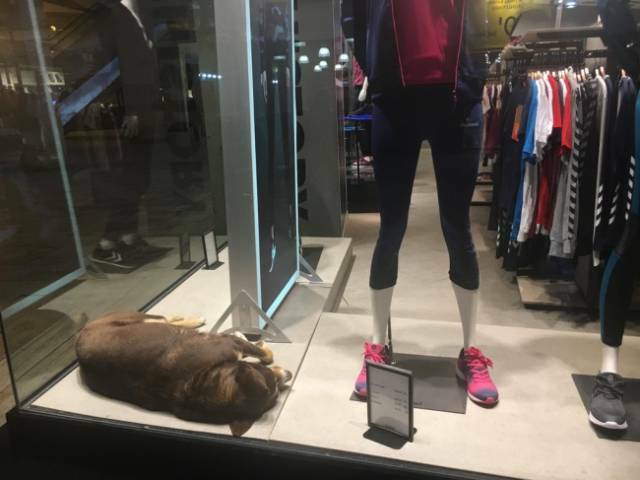 A store worker let a homeless dog sleep in the window display because it was cold outside. 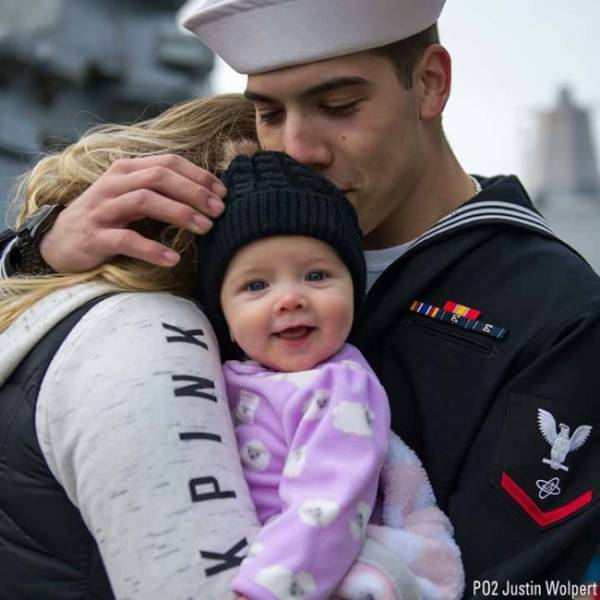 This baby is meeting her dad for the first time. 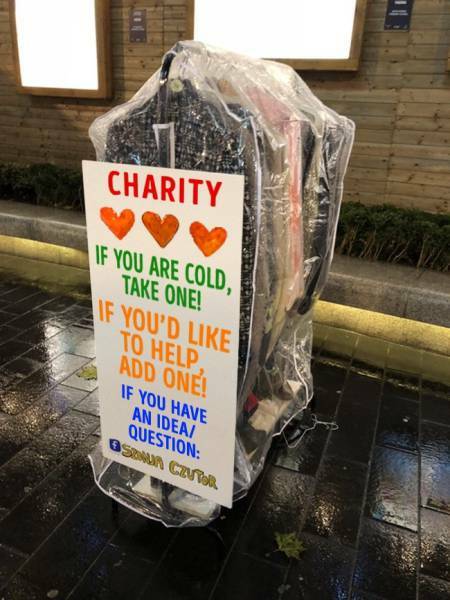 This woman saw a homeless man without a coat and decided to help.